The Mutual Support Centers are autonomous, independent community support groups operating mostly on donations and community-driven exchange of work and skills. Activities originally centered around organizing solidarity kitchens with free meals for all, organizing volunteer work and brigades to clear roads, the distribution of donated aid and supplies, and identifying and finding solutions to urgent community needs such as food, health, and housing. Some CAMs have occupied abandoned buildings, lots, and closed schools to establish farms, shelters, solidarity kitchens and community centers. The CAMs have become centers for the development of future projects and political ideas. CAM volunteers and leaders describe the experience as transformative, life-changing, empowering, healing and has inspired feelings of community strength, confidence, pride, dignity, and self respect. 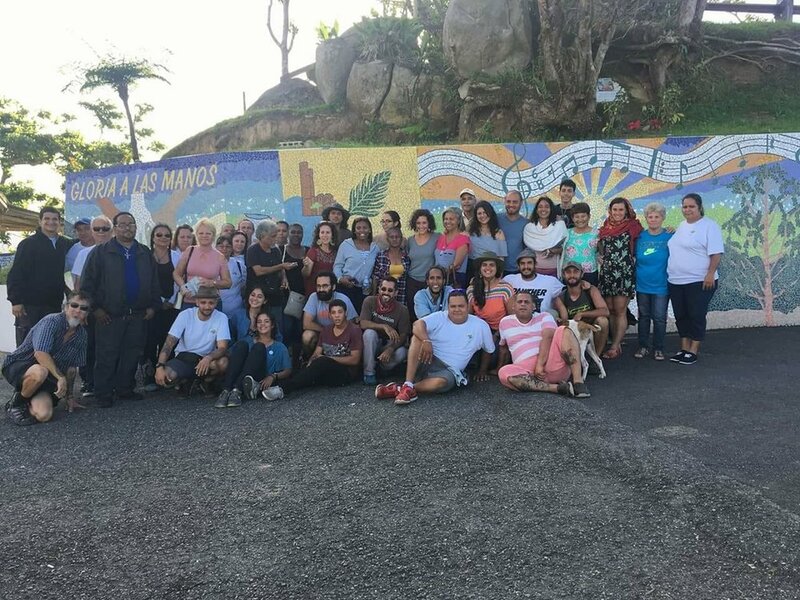 There are recent efforts to create a network of communication and collaboration between the CAMs and other solidarity groups across Puerto Rico. Other aspirations include self-sustainability, effective fundraising, the ability to create schools with alternative education, expansion of farming abilities, housing alternatives, transition into community solar powered systems, and to be able to address other social, economic, health, and healing issues on a long-term basis. In addition to providing support to overcome urgent needs in the communities, CAMs promote their empowerment and create discussion spaces to generate critical thinking and the understanding that we are facing a political disaster that is even more dangerous than the natural disaster: disaster capitalism. CAMs are contesting the false narrative that the people of Puerto Rico can not support themselves and need external expertise to envision and carry out the reconstruction of Puerto Rico. The CAMs are providing critical space for our people to gather and build power. The people of Puerto Rico are strong and resilient - the CAMs demonstrate this everyday.